It is that time of the year again, summer holidays are ending and soon there will be new students entering your classroom door for another year of fun, laughter and learning. As teachers we are always looking for new and exciting ways to help create a space that is organised, colourful, safe and welcoming to these delightful students. Here are some things I have within my classroom. I am currently going into my third year of teaching and have tried a range of ways to help record and monitor student progress which didn’t suit my style. This year I have created my own assessment book to support me in recording student progress. Below are some photos of my Assessment book. 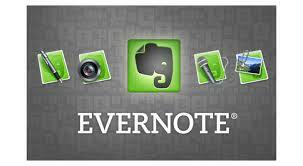 Evernote allows me to take photos, videos, and record student progress. There are many ways you can use this wonderful App to support you within the classroom. Students use an iPad to take photos of work and place into their own folder. I am then able to make comments and have evidence of student work. I find Evernote very handy especially during Parent Teacher Interviews as I have both student reflections, presentations and work samples to show parents. As we are teaching in 21st Century Classrooms we would love for there to be one username and password for every program we use with students (SSO – Single Sign On). Unfortunately this is not always the case. Most weeks 4-5 students will come to me saying they have lost their username or password. Even though I always encourage them to write passwords into their diary this still does not seem to fix the problem. I came across this idea on Pinterest and have now created my own Student Password Keyring to help organise students passwords .This will save myself and students time when a password is forgotten. Now they can simply find their Keyring and all their passwords will be listed there. I hate pins, I always feel I pin myself more than the wall. The solution.. Velcro! It is a lifesaver. I highly recommend this to everyone. Student birthdays are an important part of building teacher student relationships. I believe it is really important for teachers to make an effort and acknowledge each students birthday. When it is a students birthday they receive a balloon (see picture below) and they get to pick a prize out of the prize box. (This generally consists of pencils, pens, rubbers, rulers etc). I believe that students need to feel a sense of belonging every time they enter into their classroom. Having labels around the room for their bags, jobs, positions of leadership etc gives each student a sense of belonging. I always create a welcome sign with students on orientation day the year before. This year students individually designed a sneaker which I then compile all together along with our class slogan “Sneak into 6EK”. This promotes inclusiveness and allows the students to feel a sense of belonging. I like to make the classroom as colourful and exciting as I can for the students. Below are a range of photos with different things you would find in my classroom. As I have made the move to Year 6 this year I thought it would be a great time to educate students on using Social Media effectively and responsibly. I have created a class Twitter account to share the learning that is occurring with the wider community. My class will be collaborating with other classes around the world using the hashtag #ebuddies. Please feel free to follow and become involved in our learning. I have also created a Twitter Wall in the classroom using monster icons for each student. Every morning when students arrive they are encouraged to post something on the Twitter Wall. It is a way for students to share how they feel and what they have done with the class all in 140 characters making sure they choose their words wisely. These are a few of my strategies for setting up a classroom for the beginning of the year. How do you set your classroom up for the start of a new year? I love your assessment book. Did you make it and bind it yourself or have it professionally made? Would you be interested in sharing your assessment book ?!? Happy to pay! Wouldn’t copy it exactly, but am always in the lookout for new ideas for recording my work! Ps just linked with you on Linked In. Will be going back to JNR school as yr 6 teacher in term 3 this year and would love to pick your brain on some pyp inquiry ideas. I’ve done my masters in pyp, but have spent the last 4 yrs as Yr 7 coord. Great post Eleni! I look forward to watching our school community learn and grow as we all endeavour to “personalise” our learning! Congrats again on your blog. Great blog post Eleni, i really like the feel of your blog. I can see that this will be an amazing resource for teachers around the world. I will defiantly be following your future posts. Well done and keep up the great work. Thanks for the kind words. I hope I can help others in their learning journey.